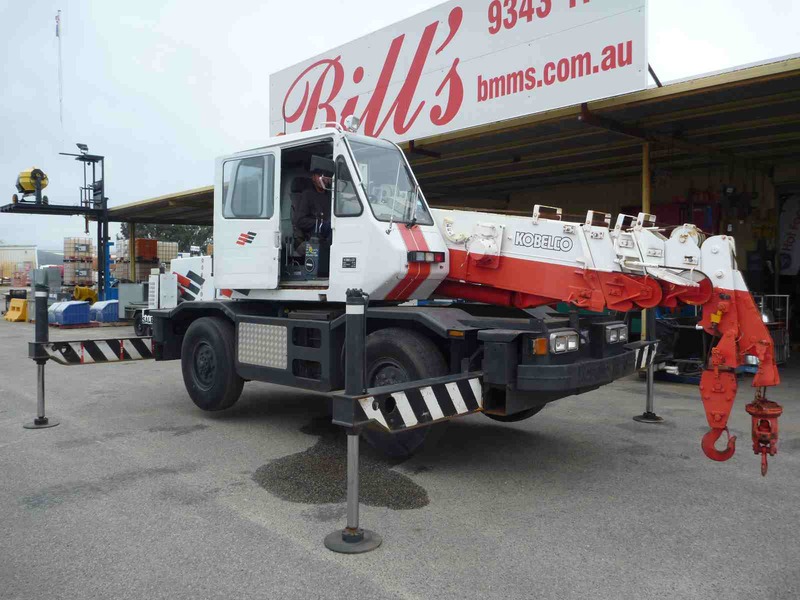 KOBELCO 7 TON ROUGH TERRAIN CRANE | Bills Machinery. Lifting Capacity 7 tons x 2.5metres. With operators manual & load capacity charts. ATLAS COCO .5TON AIR CHAIN HOIST.